Pub, bar and wedding chalkboard signs. 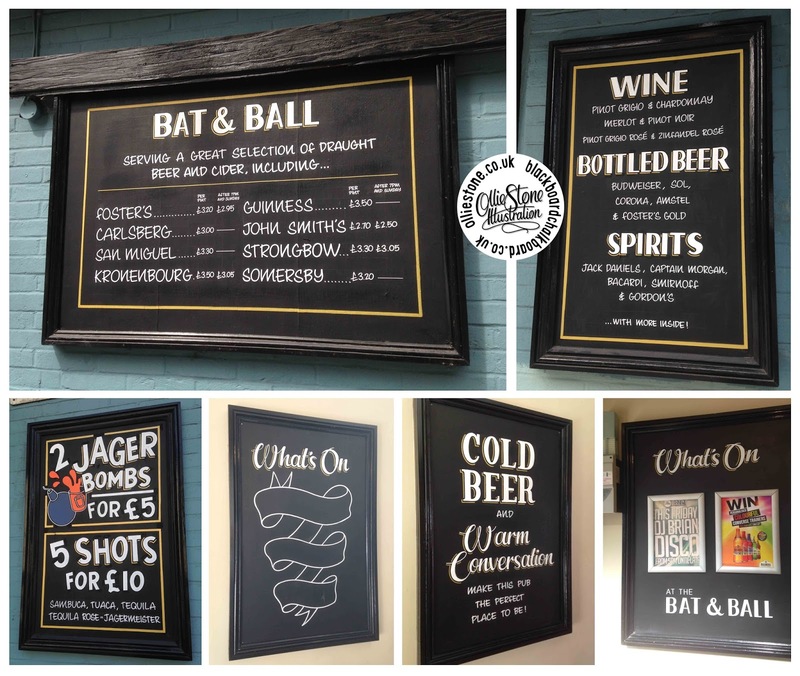 Assorted indoor and outdoor chalk signage for the Bat & Ball pub, Brighton. 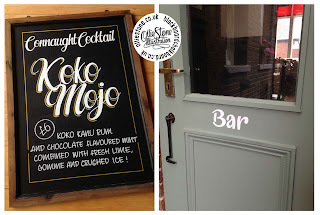 Double-sided a-board for Maggie Mae's bar, Brighton. (Identical on both sides). 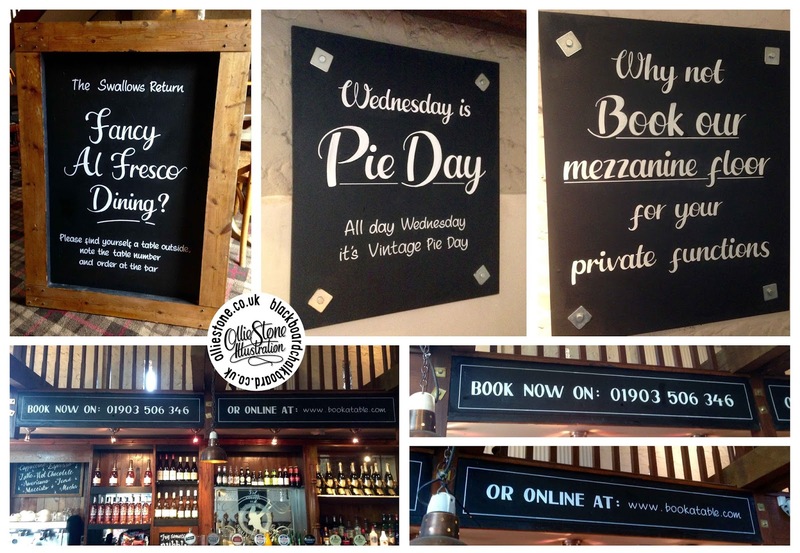 A selection of chalkboard signage for the wedding of James & Katie. 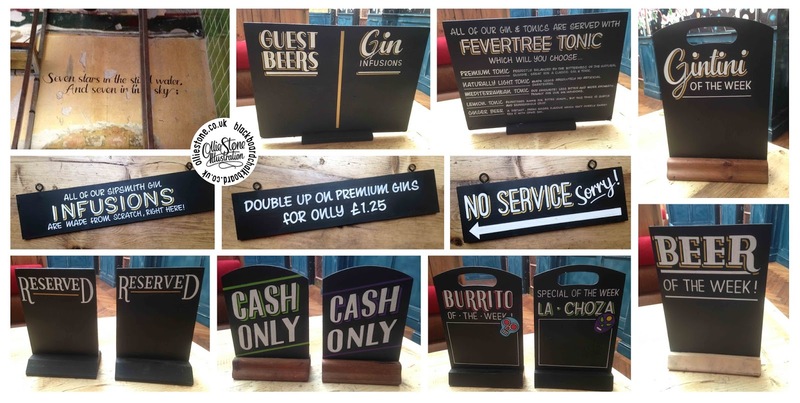 A collection of bar-top and small-scale signage for The Seven Stars pub, Brighton. 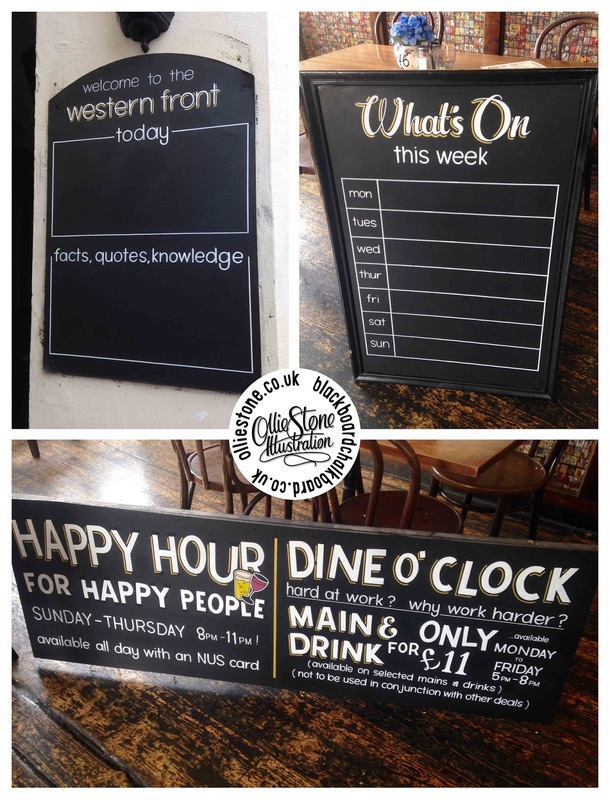 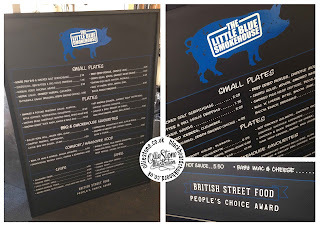 Chalkboard and blackboard menus and signage. 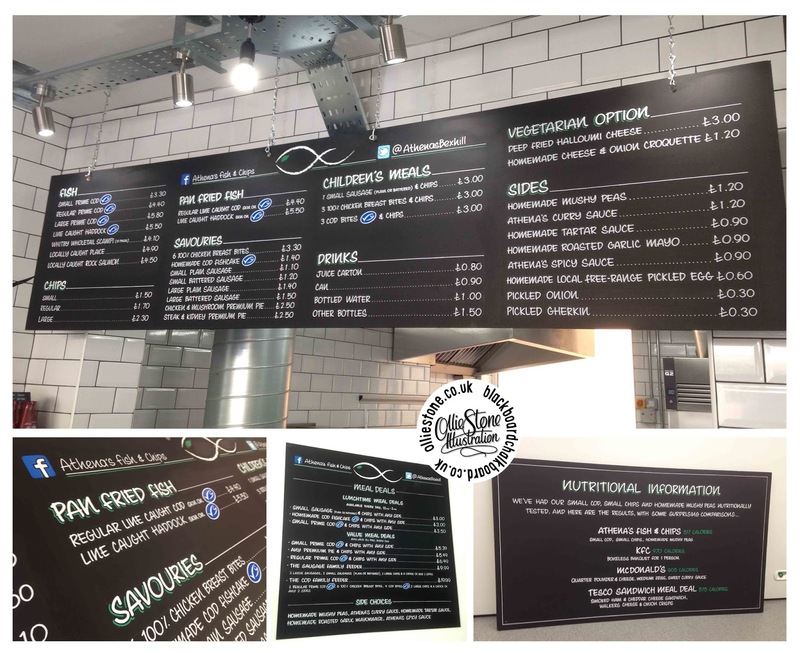 Chalkboard menus for Athena's Fish & Chip shop, Bexhill. 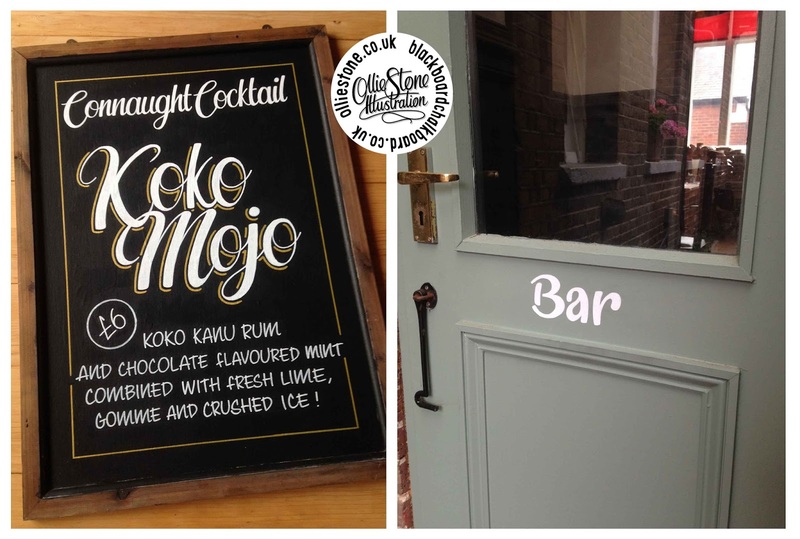 Signage for The Connaught Pub & Kitchen, Hove. Chalkboards for JD Wetherspoon, The Humphrey Bean, Tonbridge. 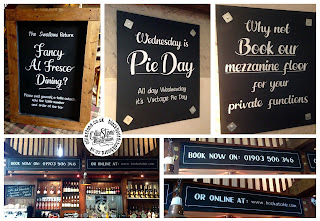 Chalkboard menu for The Seven Stars, Brighton. 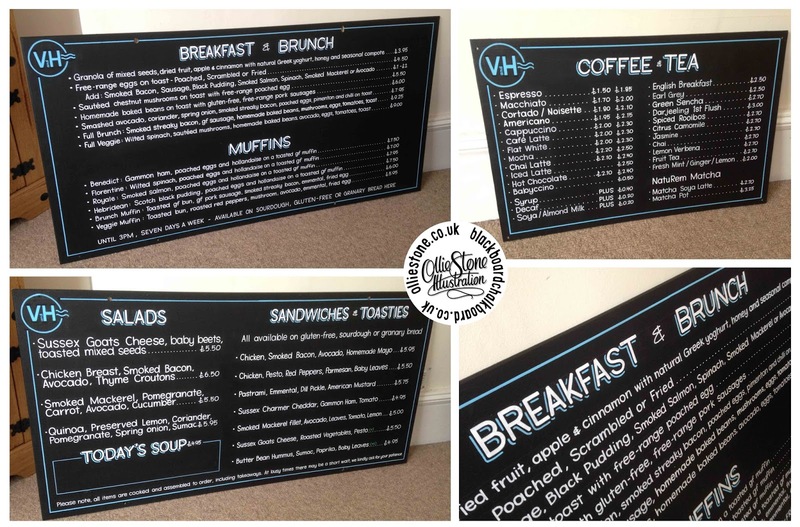 Chalkboard menus for V&H Cafe, Hove. Various sized signage for the Western Front, Brighton. 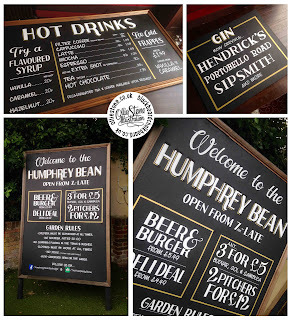 Hand-painted signage and pub blackboards. 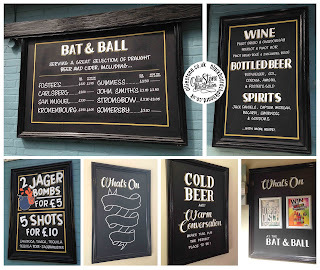 Blackboards and signage for Vintage Inns, The Swallows Return in Worthing. 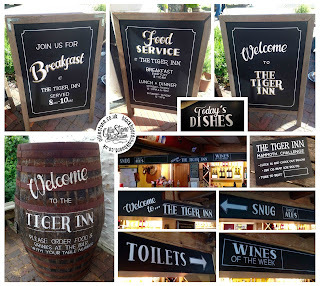 Hand-painted barrel for The Tiger Inn in East Dean. 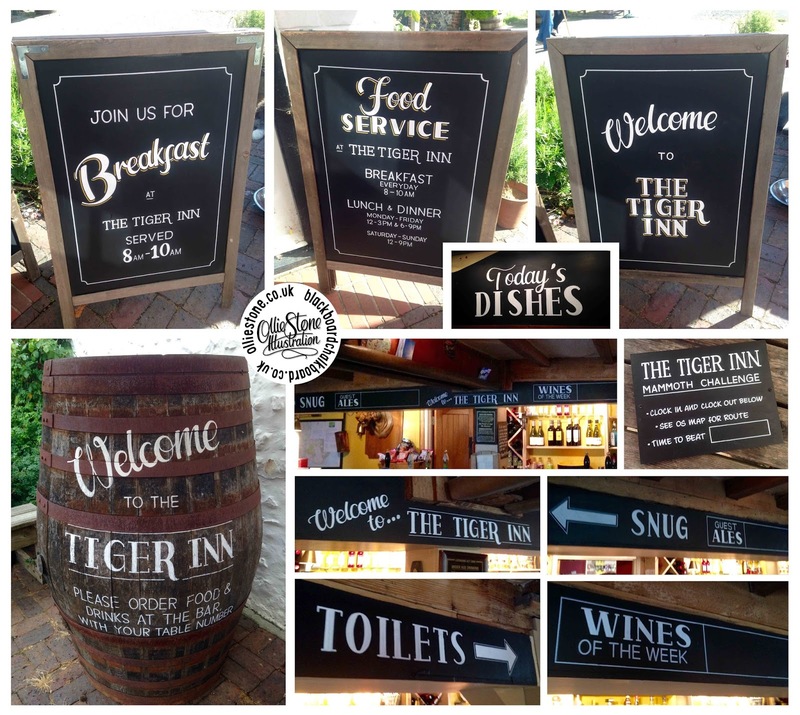 Blackboards and signage for The Tiger Inn in East Dean.